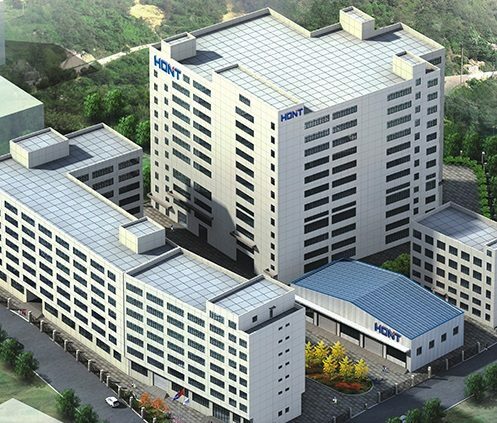 As the leading enterprise in the electrical appliances field, HONT is professional in supplying kinds of electrical accessories. It is the superior cut out fuse manufacturer in China. Cut out fuse is a short circuit protection switch. It is characterized with the features of economy, convenient operation. And it has strong adaptability to outdoor environment. This product is widely used in 10 KV to 12 KV distribution line. And one side of distribution transformer for protection and equipment operation will also buy them from the cut out fuse manufacturers. This fuse is outdoor high – voltage protective equipment. It is installed on the high-voltage side of distribution transformer. And the distribution wiring branch will also use it. Sometimes, it will be used as the short circuit of transformer and line, overload protection and sub – and combined load current. The cut out fuse manufacturer will produce this products for the high demands. It is composed of two parts. They are the insulating bracket and the fuse tube. The static contact is installed at both ends of the insulating bracket. While the moving contact is installed at both ends of the fuse tube. The fuse tube consists of an inner extinguishing arc tube and an outer phenolic straight tube or epoxy glass tube. What is the main functions of the cut out fuse? The cut out fuse is installed on the branch line of 10 KV distribution line. It can reduce the range of power failure range. It is because it has an obvious disconnection point. And it has the function of isolating switch. The switch creates a safe operating environment for the line. The fuse makes equipment in the maintenance section and increases the safety of maintenance personnel. Made by the cut out fuse manufacturers, this fuse is installed on the distribution transformer. And it can be used as the main protection of the distribution transformer. Therefore, it is popularized in the distribution line of 10 KV and distribution transformer. What are the working environment for the cut out fuse? When we are going to buy the products from the cut our fuse manufacturers, it is also needed to know the working environment for it. It is not available to work in electric conduction, chemical gas action and seriously polluted fog area. Produced by the cut out fuse manufacturer, 10 kv cut out fuse is suitable for the air without conductive dust. And it needs the working environment has no corrosive gases. Of course, it can not work in flammable, explosive and dangerous environment. And the places where the annual temperature change is higher than outdoor places 40 °C are not good for it. The selection is made according to the parameters of rated voltage and rated current. That is, the rated voltage of the fuse must match the rated voltage of the protected device (line). The rated current of the fuse shall be greater than or equal to the rated current of the fuse. The rated current of the melt can be selected as 1.5 ~ 2 times of the rated load current. In addition, the selected fuse shall be checked according to the three-phase short circuit capacity of the protected system. But it must be greater than the lower limit of the rated disconnection capacity. Sometimes, the rated disconnection capacity of the fuse may be too large. It is likely to make the three-phase short-circuit capacity of the protected system smaller than the lower limit of the rated disconnection capacity of the fuse. It will make it difficult to extinguish the arc. In this situation, it may cause the fuse burning and explosion accidents finally. Some power supply units are still at the peak of the transformation of the agricultural network. When selecting this kind of fuse from the cut out fuse manufacturer, the product quality must be strictly required and selected. It can protect qualified equipment into the network. And one more thing I want to say here. Do note its upper and lower limits of rated disconnection capacity. Now I give a brief conclusion of the cut out fuse. The changing temperature is not higher than 40°C. And it can not be lower than -40°C. Elevation is not exceeding 1000 m. Maximum wind speed shall not exceed 35 m/s. Earthquake strength does not exceed 8 degrees. How does the cut out fuse work? As we all know, the cut out fuse manufacturers are so many. It is because the using of this product is such wide. It is very necessary to get some knowledge of how the cut out fuse work. In normal operation of cut out fuse, the fuse tube will move. It will turn to be closed with the tension of the fuse. When the power system fails, the wrong current results in the fuse fusing quickly and forming an electric arc. The extinguishing arc tube is heated by the electric arc. And it will decompose a large amount of gas. This gas will causes high pressure in the tube. And these air in the tube will blow along the pipe in vertical direction. The arc is quickly stretched and extinguished. After the fuse is blown, the lower static contact loses tension and turns down. So the tightening mechanism releases the fuse tube. Then the fuse tube falls to an obvious breaking position. When it is necessary to pull the load, it will pull the active contact with the insulator. And at this time, the active and static contact still keep contacting state. It will continue to pull the contact with the insulator. Then the auxiliary contact will also separate. And an electric arc is generated between the heads. The electric arc will be stretched in the gap of arc chute. And the arc chute will produce gas. After the current turns to be zero, then it will extinguish the electric arc. The cut our fuse manufacturers are producing this product. When we are buy this product, it is better for us to know the working principle of it. The moving contacts at both ends of the fuse are tightly tied by the fuse. And the upper moving contacts are pushed into the protruding part of the “duck mouth”. And the upper static contact made of phosphorous copper sheet is attached to the top moving contact. So the fuse tube is firmly stuck in the “duck mouth”. When the short circuit current is blown through the fuse, an arc is generated. Under the action of the arc, the steel paper tube lined with the inner side of the fuse tube generates a large amount of gas. And it is because the upper end of the fuse tube is sealed. Besides, the gas is ejected to the lower end, to blow out the arc. The upper and lower moving contacts of the fuse will lose the binding force of the fuse, due to the breaking of the fuse. Under the action of the gravity of the fuse tube and the function of the upper and lower static contacts, the fuse quickly drops off. It will disconnect the circuit. It cuts out the fault line or fault equipment. Why there are still some electrical accidents every year? As we have known the cut out fuse can protect the electric system, someone may ask questions. Why the fuses on the actual 10 KV line system and distribution transformer cannot operate correctly? Are the products are bought from the bad cut out fuse manufacturers? It is because the electrical workers have poor quality and weak sense of responsibility. These workers seldom do the maintenance. And they don’t like to check the cut out fuse in a long period. The second reason is that the product quality of the cut out fuse is not good. The products may be from bad cut out fuse manufacturers. They cannot be drawn and operated flexibly. Both two reasons reduce the function and efficiency of cut out fuse. In reality, there is often a lack of fuse pipe, fuse body. People will use copper wire, aluminum wire or even iron wire hook to replace the fuse. This will lead to the high tripping switch rate of the power system. Some will even result in high fault rate of distribution transformer. More and more people are buying cut out fuses from the cut our fuse manufacturers. For users, we must know something when we are operating them. Under normal circumstances, cut out fuse is not allowed to be operated with load. Only no-load equipment (line) is allowed. 1. The operation shall be performed by two people. One is to monitor and the other is to operate. But the operation shall be conducted by wearing tested insulating gloves, insulating boots and goggles. And they need to use qualified insulating bars with matching voltage levels. It is not safe to operate in the climate of thunder or heavy rain. 2. During the operation of it, the general rule is to first pull the intermediate phase. Then pull the leeward side phase. And finally pull the windward side phase. This is because the distribution transformer is changed from three-phase operation to two-phase operation. When the center phase is pulled, the arc spark of arc generated is minimal. It will not cause short circuit between the two phases. Then it is to pull the leeward side phase. It is because the center phase has been pulled apart. And the distance between the leeward side and the windward side phase has doubled. Even if the over voltage is generated, the possibility of causing the alternate short circuit is very small. And the upwind phase is finally broken. There is only capacitance to the ground. And the spark is already very slight. 3. When closing the tubes, the operation sequence is opposite. First close the windward side phase. Then the leeward side phase. And finally close the middle phase. 4. Operating fuse produced by cut out fuse manufacturer is a frequent project. It will cause contact damaged. It will cause the contact burns if it is not noticed. And it will make contact overheat and spring annealing. And it will result in vicious circle. Therefore, when the tube is pulled or closed, the force should be moderate. After the tube is closed, have a careful check. We need to make sure if that the tongue of the “duck mouth” have been tightly buckled to more than two-thirds of the length of the tongue. You can check it by pushing the “duck mouth” several times by using the brake rod hooking the upper “duck mouth”. Then try it like this several time to ensure it is well closed. When the switch is not in place or secure, the static contact pressure on the fuse is insufficient. It will result in contact burns or the fuse falls by itself. Hont is a professional cut out fuse manufacturer in China. We are taking Wenzhou as the researching and development manufacturing base. It is a Electrical Appliance City in China. And it is the main sales center. Now it has become a diversified enterprise, integrating research and development, production, sales and service together. The company’s products cover high-voltage electrical appliances, power transmission and distribution equipment, construction industry and electrical automation industries. Our main products include fuse, high arrester, insulator, high voltage vacuum circuit breaker, mutual inductor, cable ties and etc. The company has a strong technical force. And this cut out fuse manufacturer has superb production technology and advanced testing equipment. It has a perfect scientific management system. The enterprise has passed ISO 9001:2000 international quality system certification. HONT always carries out the business philosophy of “Integrity management, Quality win; Focus on development and keep innovating”. We are keeping comprehensive development, pursuit of excellence. We spare no effort in the new product development, product quality improvement, service quality improvement, human resources input. And we are forging ahead! The company, cut out fuse manufacturer always closely combines its own interests with the needs of the society. And it strives to achieve the mission of “Sustainable supply safe, energy-saving, controllable and efficient products for the power system”. In the increasingly fierce market competition, HONT, this cut out fuse manufacturer, its brand is known by more and more people. And we have received the majority of users unanimously praise over years!